You need to read these books. No, really…like…right now. 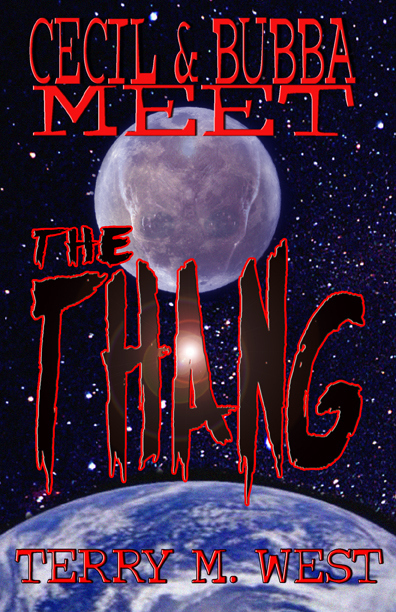 The first is Terry M. West’s “Cecil and Bubba Meet The Thang.” That’s not a typo. It really is the “thang.” Cecil and Bubba are true blue corn fed rednecks from Texas, who manage to get into all kinds of paranormal trouble. I’m not going to tell you who or what the “thang” is, but it’s a whole lot of funny and badass. The characters are colorful, the pacing is just right, and the “thang” is so awesome it needs its own book. I loved this book so much that I didn’t want it to end! I can’t wait to read more of Cecil and Bubba’s shenanigans. 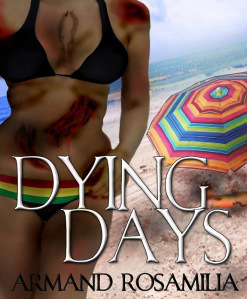 The next is Armand Rosamilia’s “Dying Days.” This is the first book in a series about zombies, and I was hooked immediately. There were so many times I felt like I was on the edge of my seat (or bed because I like to read before nighty night time). Again, the pacing was wonderful. I didn’t get bored ever. The characters were kickass, and you genuinely feel sympathy when tragedy strikes. I’m probably the worst when it comes to writing book reviews. I can’t stand it when people reveal too much plot in reviews, so I refrain from doing so. However, if you like horror comedies with an extraterrestrial twist, get on “Cecil and Bubba Meet The Thang.” If you like gory, bloody zombie stories, hit up “Dying Days.” I don’t give stars, but I do give these stories 2 huge thumbs up. Believe me, you won’t be disappointed.